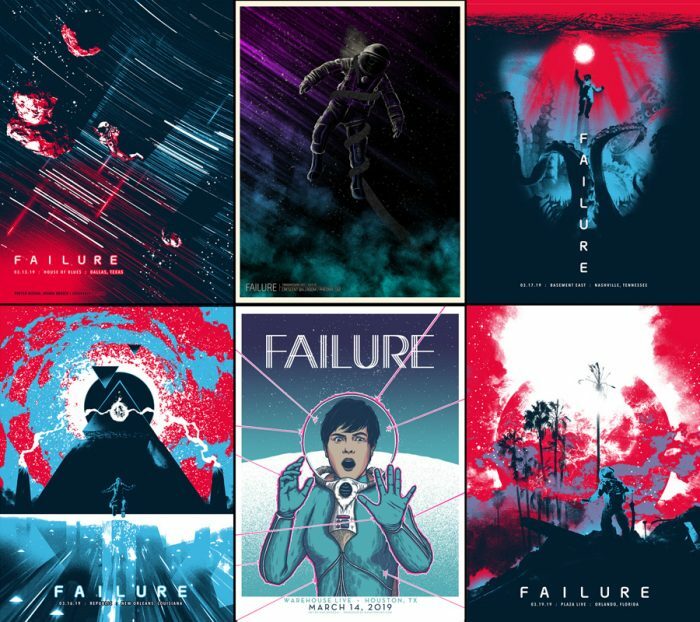 FAILURE 2019 tour- 6 new prints! 6 new prints- 18×24 each- AP editions of 40! Nakatomi is yet again producing the tour poster series for the band, Failure! We’re releasing them in batches- this first group of 6 prints includes 4 (!!!) prints by artist Josh Budich, and a new print from Dan Grissom and one from newcomer, Bruce Yan! All prints are in hand and ready for immediate shipment- $30 each. All in AP editions of 50. Pick them all up HERE in the gigposter section of the Nakatomi store! ← “I Did Miss You” print by Josh Budich- now available!